Posted in: Meetings. Tagged: exoplanets. Today, we had a visit to the Physics Dept. from an alum’s science class from Fruitland High School. We talked about the physics dept. 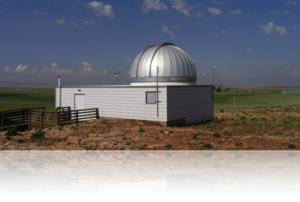 and astronomy at Boise State, as well as the upcoming eclipse. I posted my presentation below. Posted in: BSU Journal Club. Tagged: close-in exoplanets, exoplanets. 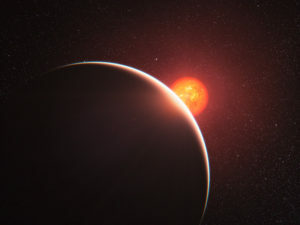 This artist’s impression shows the super-Earth exoplanet orbiting the nearby star GJ 1214. Eve Lee and Eugene Chiang of Berkeley Astronomy just posted a very interesting paper about the origins of super-Earths in ultra-short-period orbits. The topic I’ve been interested in most in recent years is the origin and fate of these ultra-short-period planets. These little guys orbit very close to their host stars, taking, in some cases, only a few hours to circle their host stars. In other words, the year for some of these planets is shorter than a feature-length movie. Such planets were completely unexpected before astronomers began discovering them, and it’s not at all clear where they came from – naïvely, we’d expect that they can’t form where we find them. And many of them are so small (less massive than the Earth in some cases) that tidal interactions, which can cause bigger planets to death spiral into their stars, probably don’t have much effect. In their paper, Lee and Chiang explored the origins of short-period super-Earths, planets somewhat, but not much, bigger than Earth. This population declines the closer you get to the host star – there are more super-Earths with periods of several days (short-periods) than of several hours (ultra-short-periods), which probably tells us something about the planets’ origins. It was thought that such planets might originate via gas disk migration. This is the gravitational give-and-take between a nascent planet and the maternal gas disk from whence it arises. Lee and Chiang found that, surprisingly, this migration on its own would not have made enough ultra-short-period planets but too many short-period planets. Next, they tried to include tidal interactions, which made enough ultra-short-period planets but too many short-period planets. Instead, Lee and Chiang found that they could explain the short-period super-Earths if they assumed the planets formed near where we find them (and included a little tidal migration). That’s a little surprising since the standard model of planet formation posits that the grains of dust and ice that eventually coalesce to form planets cannot exist within a few days of their host star. 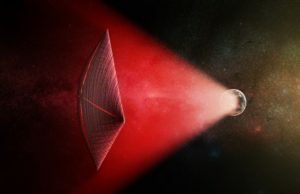 So, if Lee and Chiang are right, these super-Earths, instead of growing up from tiny grains, may have grown from the collisions of 1000-km planetesimals that themselves migrated close to the host star. In this case, the origins of short-period super-Earths may have been particularly violent. Posted in: Public Outreach. Tagged: exoplanets, star-gazing event. With 50-plus attendees, Friday’s event was a great success. Lots of great questions and feedback from the audience. The next event will take place on Friday, Apr 7 at 7:30p with a talk from Prof. Rory Barnes of U Washington. Dr. Penev was kind enough to share his presentation with me, and I’ve posted it below. And our Pony Up Campaign finished on Sunday evening. Thanks so much to all our donors, particularly Mat Weaver, Danielle Weaver, Axel & Nancy Kappes, Scott Ki, Rex Hanson, Sonja Ward, and several very generous anonymous donors. Thanks to you all we will be able to pay for seven site visits around the state.